Window cleaning ladder safety tips. You might be a window cleaner that is new to the window cleaning industry. You could also be a homeowner looking for safety tips to clean their own windows. In any case, nothing is more important than ladder safety when it comes to cleaning windows. No window is worth your life. Think about how insignificant a clean window can be when you compare that window to your life. Arguably, your life is much more valuable then what a clean window can offer. No Doubt, more light will get in your house as a result of cleaning your windows. Be that as it may, what good is a bright house if you are dead and you cannot enjoy it. Ladder safety equipment for window cleaning. Arguably, the best way to stay safe on a ladder is to use proper safety equipment. There are many accessories that make ladders much more safe. 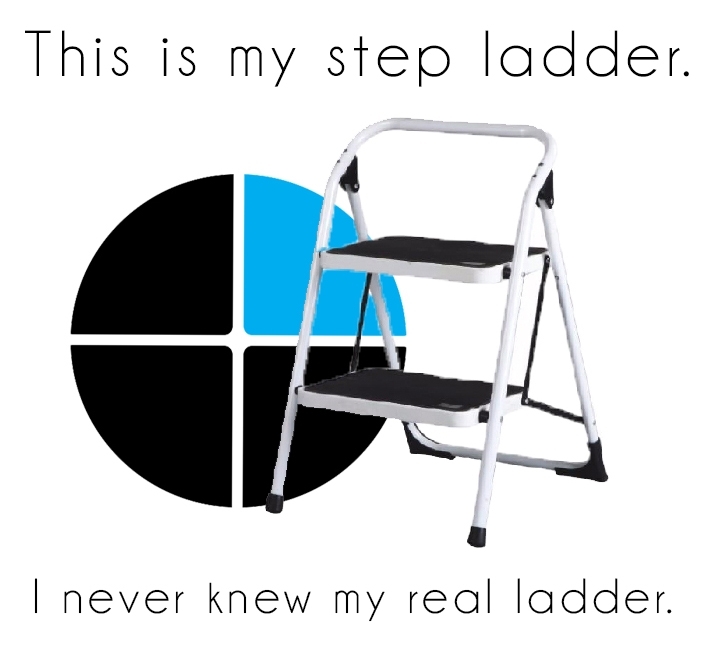 As a matter of fact, there are leg levelers that will automatically balance your ladder. A strong even base is incredibly important for ladders. Consequently, if your base is uneven, the top of your ladder will be leaning too far to the left or right. If this is the case, you are setting yourself up for a dangerous fall. Ladder stabilizers are another safety accessory for window cleaning ladders. They are installed at the top of your ladder. In addition to stabilizing, they offer you more room for window cleaning. A ladder stabilizer has two arms for each side of the window. This places your body over the window for easy cleaning. Phone use on a ladder. Ironically, phone use is just as dangerous on the ladder as it is driving. For the last couple of years we have all heard the warning signs. Don’t text and drive! Don’t talk on the phone and drive! By the same token, there should be a warning for window cleaners. Don’t text or talk on the phone while on a ladder. As a window cleaner, you need to respect your ladder. You need to respect the fact that it deserves your undivided attention. If you refuse to pay attention to what you are doing, You run the risk of falling. When I’m climbing my ladder, my focus is solely on climbing that ladder. I think about every step I make and every Ladder rung I grab. The size of the ladder is another important factor to consider before cleaning your windows. If your ladder is too short, and you can’t properly reach the window it’s dangerous. When the ladder is too short you have to climb to the very top. If your feet are on the top two rungs, your hands don’t have a grip of the latter. This is actually a violation of Osha laws. You are supposed to have three points of contact on a ladder at all times. This can include two hands and one foot. It can also include two feet and one hand. In any case, you need to have as many forms of contact with the ladder as possible. Picking the right size ladder will allow you to do this. Using a ladder that too short to clean windows will also cause you to over-reach. Over-reaching occurs when you have to reach really far to clean a window. As a result, your center of gravity will be shifted to the left or right. Consequently, you run the risk of losing your balance and falling off. Over-reaching on a ladder is one of the most common mistakes. For some reason, it doesn’t seem that risky as you attempt to do so. It’s not until you lose your balance that you realize it was risky. By then, it’s too late. Solid base is another important factor you can’t ignore. First and foremost you never want to set up a ladder on soft soil. Additionally, you want to make sure there are no hollow spots in the ground before you climb up the ladder. You can easily do this. Simply climb on to the first one or two of the ladder. At this point jump up and down on the rungs to make sure the ladder does not sink. Once you have confirmed this, the ladder is then safe to climb up. In the same way, you don’t want to place the ladder on an uneven surface. An example of this would be a bunch of rocks. Rocks can slip out from underneath the ladder causing you to lose balance. A solid base is very important! I must admit that has a window cleaner, I don’t pay much attention to ladder angle. By and large, I typically just use common sense. If the ladder angle looks dangerous then I don’t get on the ladder. Instances of dangerous ladder angles are as follow. The ideal ladder angle is 45 degrees. No doubt a hundred degree or 15 degree ladder angle is unsafe. The greater the angle, the greater risk you run of the ladder slipping from underneath you. The smaller the ladder angle is, you run the risk of the wire tipping over backwards. Either way, you run the risk of death, a broken leg, or being paralyzed. Stay safe! Typically ladder manufacturers state the weight limit four ladders on the ladders themselves. I believe the two ladders I have have a weight limit of 250 pounds. I have both a 32 foot ladder and a 24-foot extension ladder. In addition to those, I also have a window cleaning ladder designed specifically for window cleaners. To be honest, I don’t know what the weight limit is off the top of my head. At any rate, I’m a skinny tall white dude. There aren’t many things in this life that limit me based on weight alone. On the other hand, I tend to be too tall to do many things in life. My height actually comes in handy with window cleaning though! Here are some random additional safety tips. If you are feeling sick or tired never climb on a ladder. If it’s a windy day or there is bad weather in the forecast such as storms, reschedule the work for another day. Another safety tip would be to buy slip resistant shoes. This will help your feet get a good grip on the ladder rungs has he go up and down. Never climb the ladder while another person is climbing the same ladder. Doing so will exceed the weight limit of the ladder. Furthermore, it’s best to have two people to operate a ladder. One person should be at the base holding the ladder still so it doesn’t slip. The other person can do the climbing and the window cleaning. In conclusion, everything we went over in this article is basically common sense. Be that as it may, some people in today’s society are lacking common sense. In my opinion, nearly all ladder deaths could have been prevented had they just use common sense. Either they didn’t value their life or the climber just wasn’t very bright to begin with. If you value your life over a clean window, there’s a good chance you will never fall off a ladder. On the other hand I can’t say that is a fact. At the same time, I can say that you will greatly reduce your chances of falling if you just think. Simply think about every move you make on a ladder, before you make the move.